Congratulations! We’re delighted to offer you a place on our Unconditional Offer Scheme. Your potential shows. That's why your entry to LSBU is guaranteed. We've chosen you for your academic standing, character and projected success - it's down to you! At LSBU, we’ll give you a helping hand during and after university to help you achieve greatness. It's why some of the most ambitious students choose us! We hope that your unconditional offer will give you peace of mind, and plenty of time to prepare for university in September. Your academic achievements made you stand out to us, and keeping up your good work now will make you stand out to future employers. Stay on track. Regardless of your unconditional offer, your upcoming exams and assignments remain as important as ever. Seeing your studies through is essential; it will make your transition to higher education easier. We look forward to welcoming you in September. 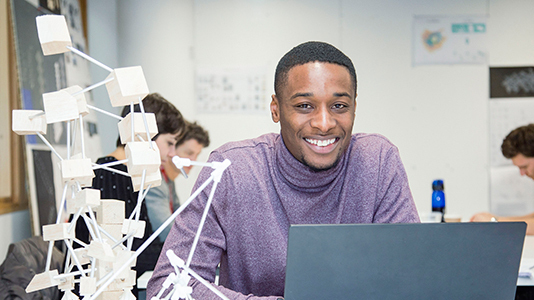 Find out more about why LSBU is for you, including why we’ve been named University of the Year for Graduate Employment for an unprecedented second-year running! Log in to UCAS Track to learn more about your offer and how to accept your place. If we can help with anything else, please contact 0800 923 8888.